Two children -- a 12-year-old girl and a 14-year-old boy -- face charges after a botched kidnapping attempt in Toronto's east end. 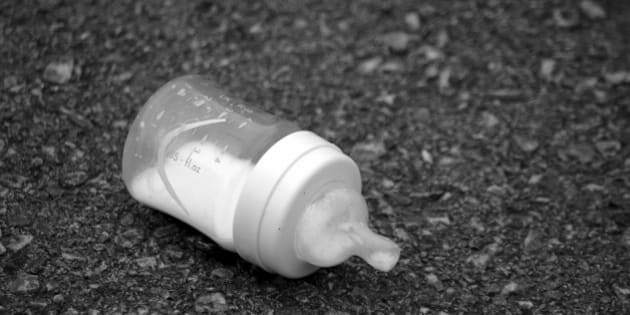 Police say a 29-year-old mother was assaulted Thursday evening, as the suspects tried to carry off her baby. She reportedly used her body to prevent the abduction, suffering kicks and punches in an effort to shield her toddler. The incident took place in a Scarborough neighbourhood at approximately 10:45 pm, as the mother and her toddler walked home from a bus station. According to police, it wasn't the first incident involving the young suspects that evening. Investigators say a 38-year-old woman was assaulted by the pair earlier. She was pushed to the ground, as her purse was snatched away. The woman flagged a passerby who called police, but the children were not found. The girl was arrested on the scene, but it took a police perimeter to catch the boy later that evening. The 12 year-old girl is charged with abduction of person under 14, assault, two counts of robbery and uttering threats. The second suspect, a 14-year-old boy, faces abduction of person under 14, assault, two counts of robbery and two counts of uttering threats, two counts of breach of recognizance and two counts of fail to comply. Under the provisions of the Youth Criminal Justice Act, neither the boy nor the girl can be identified. Anyone with information is asked to contact police at 416-808-4300, Crime Stoppers anonymously at 416-222-TIPS (8477), online at www.222tips.com.